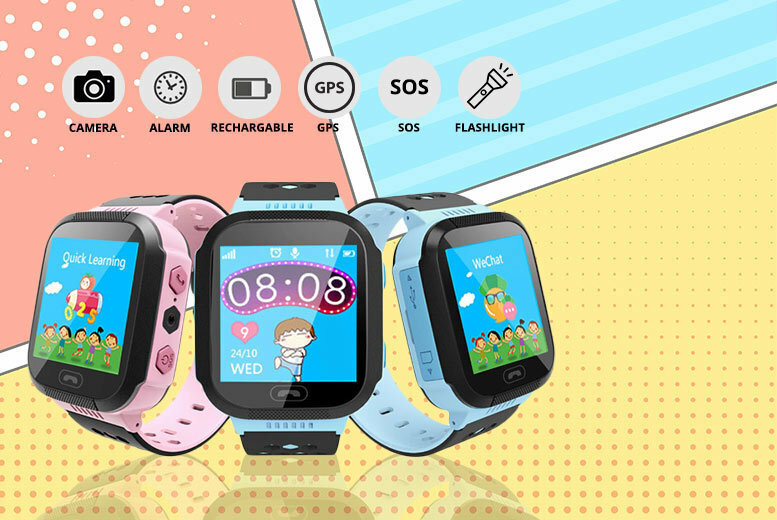 Child Safety GPS Tracker Smart Watch – 2 Colours! Help keep your child safe with a GPS tracker smart watch. Features microphone and speaker for two-way telephone calls*. Plus the ability to send text messages as well as other basic functions. Easy-to-use with an SOS emergency alarm to call parents at the touch of a button. Durable waterproof design and comfortable, adjustable silicone strap. Battery Types: Li-polymer 3.7V.